Rams turn to reserves in second half of victory. 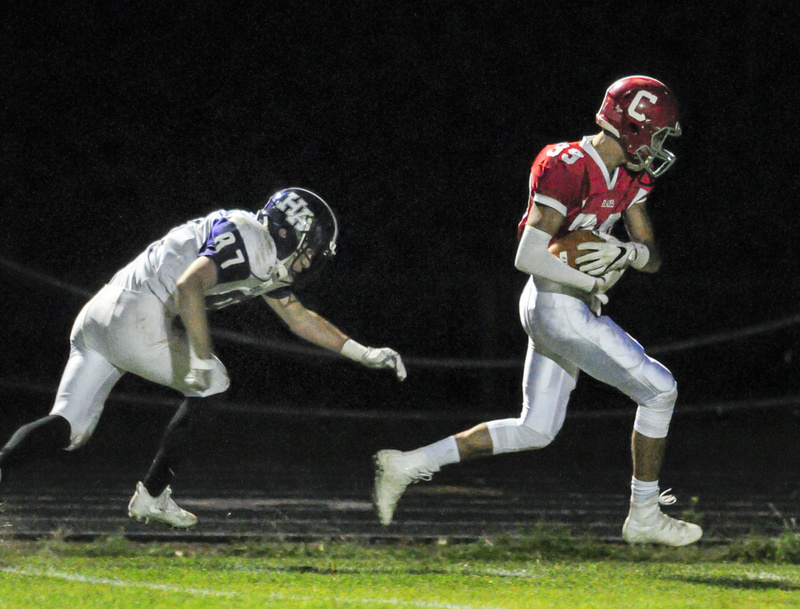 AUGUSTA — Cony’s offense rolled over young, inexperienced Hampden Academy on Friday night in a game that was settled in the first half. The Rams scored on their first eight possessions and went to their reserves late in the second quarter as they posted a 59-7 Pine Tree Conference B football victory at Alumni Field. 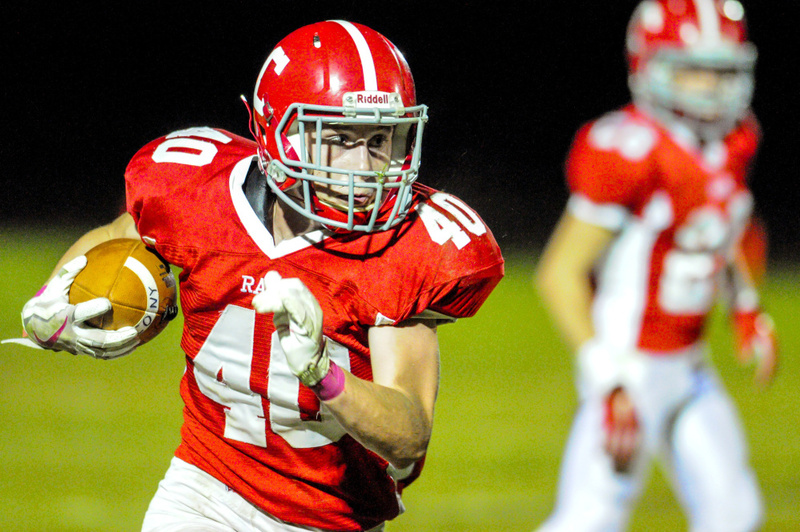 The win was the fourth in a row for the Rams (4-2), who play at Messalonskee next week in a conference showdown. 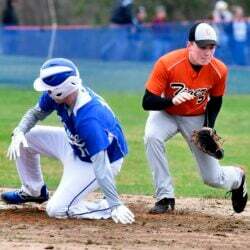 Hampden falls to 0-6. As expected this one was a mismatch from the outset. 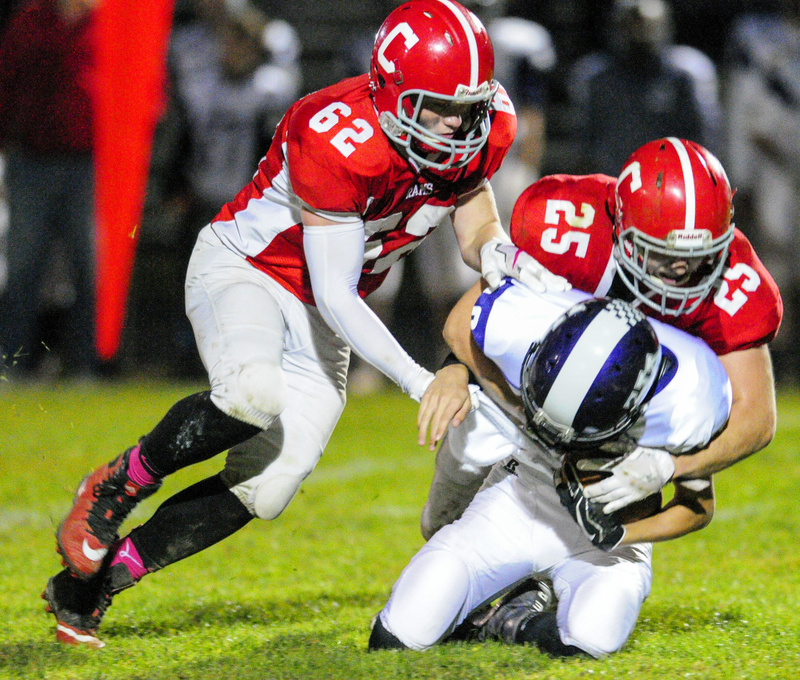 Cony had its way with the Broncos in the air and on the ground. 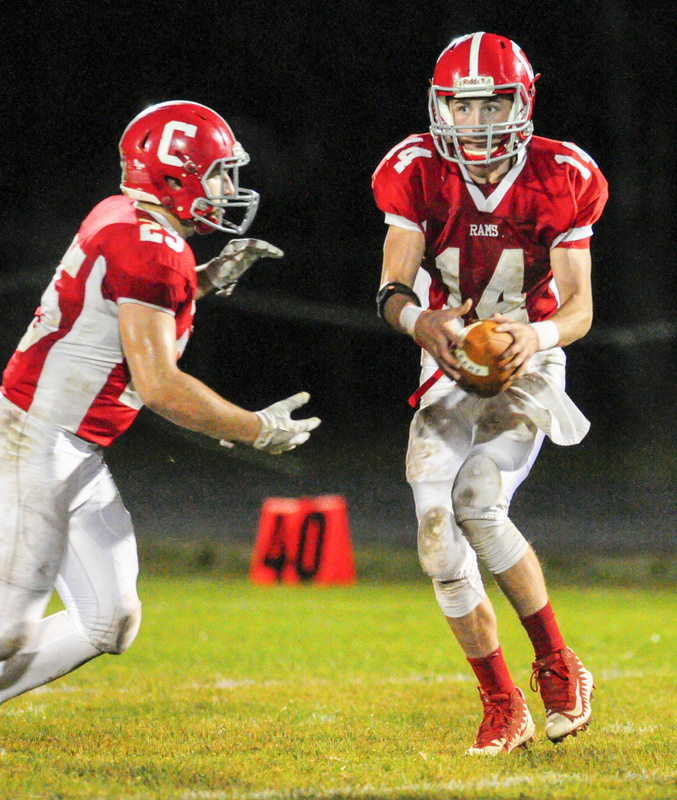 Senior quarterback Anthony Sousa completed 11 of 12 passes for 116 yards and two touchdowns. He also rushed for a score. The Rams rushed for 116 yards in the first half led by Logan Leadbetter, who scored three times and gained 44 yards on 11 carries. 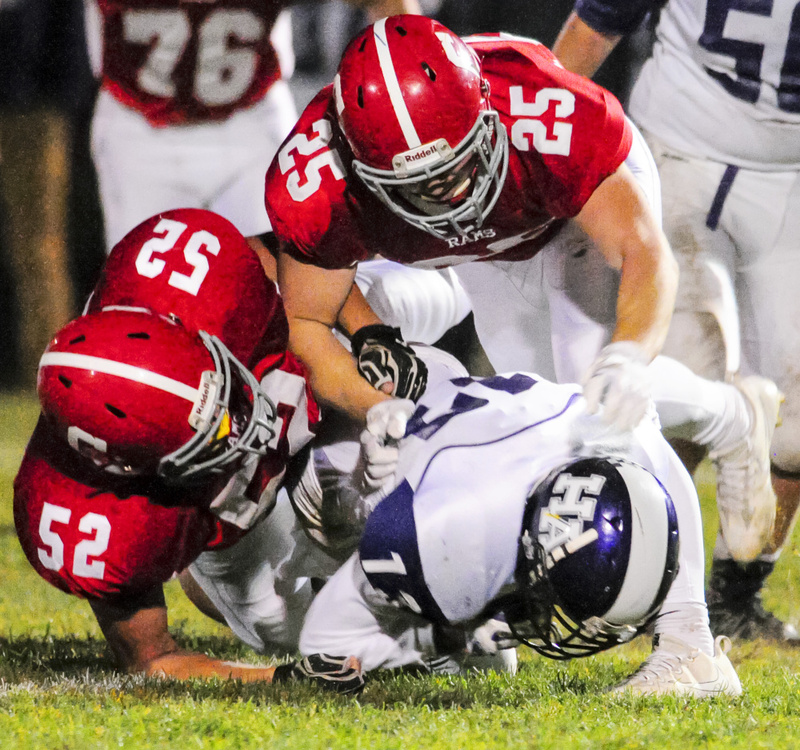 Sousa rushed for 41 yards on five carries, including a touchdown run of 7 yards. Jordan Roddy added a scoring run of 7 yards while Ashton Cunningham scored on a tackle-breaking run of 15 yards after being initially stopped at the line of scrimmage. The Rams led 53-0 at the half and the second half was played in running time. 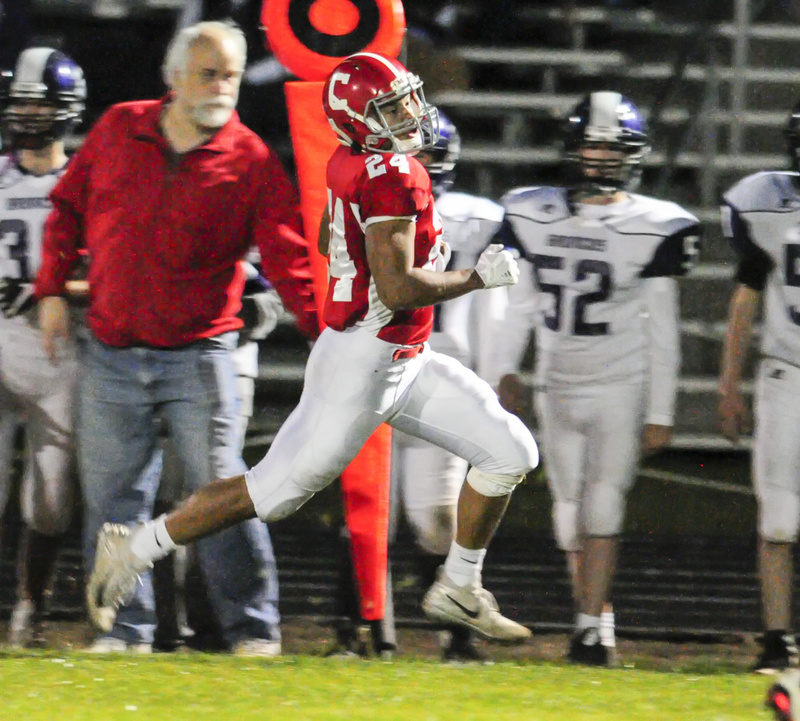 The Broncos got on the board against Cony’s reserves who played the entire second half when Triston Coffin hit Michael O’Roak with an 8-yard pass in the third quarter. 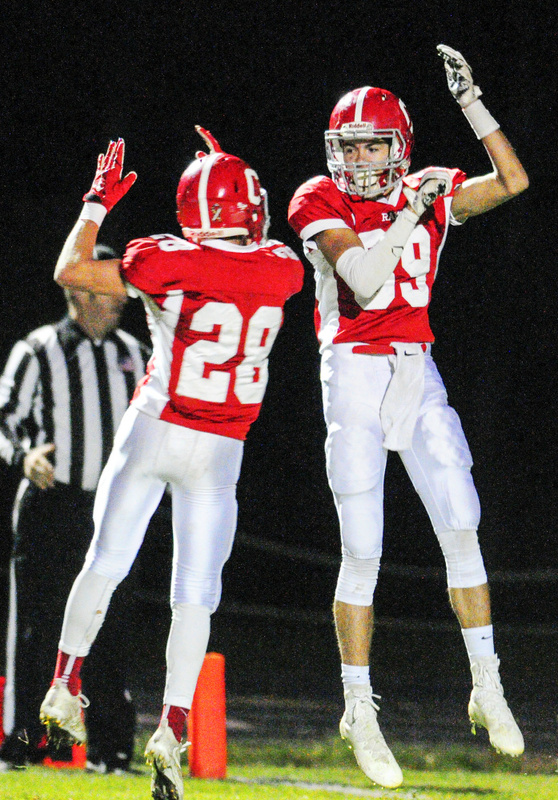 Cony tacked on a late score when Jonny Hanson picked off a pass in the left flat and returned it 80 yards. Lippert has seen steady improvement from his team on both sides of the football.